Deriving the most value from the harvesting of organic wastes, particularly waste produced through farming operations, can be quite challenging. This paper describes an approach to overcome the challenges of realizing the best value from harvested farming wastes through aggregation. Included in this description is an overview of the first swine waste-to-energy project in North Carolina based on aggregation of the value stream rather than aggregation of the feedstock, or manure. Also included in the description are an overview of the challenges encountered, approaches to overcome these challenges, and the solutions developed for this breakthrough approach that will foster further development of successful ventures to maximize the value derived from recycled farming wastes. Increasingly, our civilization is turning to bioenergy sources as an environmentally-friendly, sustainable alternative to harvesting long-buried fossil fuel sources to supply our energy needs. As the land that farmers have cultivated for years becomes encroached more and more by non-farming land uses, society seeks innovations to address its concerns for our future food needs produced in a manner that addresses environmental concerns associated with modern food production, including nutrient recovery, water conservation and reuse, and controlling odors and emissions from agricultural wastes and manures. Collectively, these innovations have been described as ‘sustainable farming’ approaches. 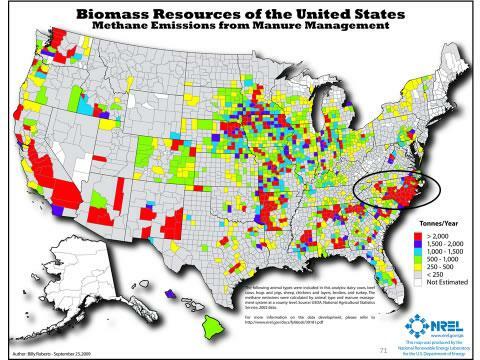 North Carolina is a significant agricultural producer, and as such, a large producer of agricultural wastes. This state also became the first state in the Southeast to adopt a Renewable Energy Portfolio Standard, and is the only state in the U.S. to require a certain percentage of that renewable energy must be generated from agriculture waste recovery, with specific targets for swine and poultry waste. Naturally, the plentiful resources coupled with a regulatory driver for renewable energy worked together to create attention and efforts toward cost-effective and efficient means of supplying our energy needs through organic waste recovery, or bioenergy approaches. We are only beginning to see a surge in commercial development for the recovery of additional value stream from the waste, such as through the recovery of nutrients, enzymes, and monetized environmental attributes associated with pollution abatement. While many forward-thinking farmers have learned that their waste is valuable for supplying renewable energy, it has been unfortunately difficult for an individual farmer to implement and manage advanced value recovery systems primarily due to costs of scale. Rather, it seems, success may be easier achieved through the aggregation of these products from several farms and through the collaborative efforts of project developers, product offtakers, and policy. A shining example of such aggregation and collaboration can be observed from the Optima-KV swine waste to pipeline renewable gas project, located in eastern North Carolina in an area of dense swine farm population. The Optima-KV project combines, or aggregates, the biogas created from the anaerobic digestion of swine waste from five (5) adjacently located farms housing approximately 60,000 finishing pigs. The Optima-KV project includes the construction of an in-ground anaerobic digester at each farm. The resulting biogas is captured from each farm, and routed to an adjacent, centralized biogas upgrading facility, or refinery, where the biogas undergoes purification and cleaning to pipeline quality specifications. The renewable natural gas produced from this system will be sold to an electric utility subject to the requirements of the North Carolina Renewable Energy Portfolio Standards, and will result in reduced emissions from both the receiving electricity generating unit and the farms, reduced emissions of odors from the farms, and reduced fossil fuel consumption for the production of electricity. The upgraded biogas (RNG) will be transmitted to the electricity generating unit through existing natural gas pipeline infrastructure. The innovative design, permitting, and financing for the project is very different than a conventional feedstock aggregation approach, and thus much has been learned. To deliver the RNG to the end user, in this case, multiple contracts with multiple utilities were required, which presented challenges of negotiating multiple utility connections and agreements. This learning curve was steepened as, at the time of the inception of Optima KV, the state of North Carolina lacked formal pipeline injection standards, so the final required quality and manner of gas upgrading was established through the development of the project. The project is currently in the beginning stages of construction, and completion is expected by the end of 2017. Given this schedule, the Optima KV project will provide the first pipeline injection of gas – from any source – in the state of North Carolina (all natural gas presently consumed in the state is sourced from out of state). 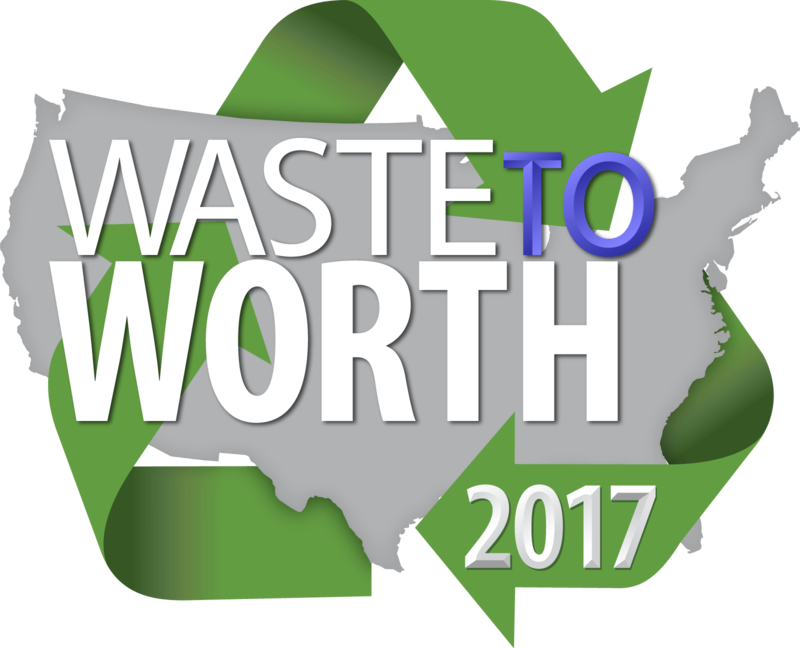 North Carolina’s potential for agricultural waste-to-energy projects is enormous, given its vast agricultural resources. Combining the potential from agriculture with the bioenergy potential from wastewater treatment plants and landfills, it is estimated to be third in capacity behind only California and Texas. The unique approach to aggregation of value streams from multiple sources, as exhibited by this project, will open the doors for similar aggregation strategies, including the anaerobic digestion of mixed feedstocks such as food waste, poultry and swine waste, animal mortality, fats, oils and grease and energy crops. Gus Simmons, P.E., Director of Bioenergy, Cavanaugh & Associates, P.A.